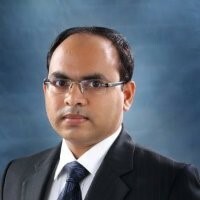 Sanjay has 17 years of diverse experience in Analytics and consulting roles. He is currently Analytics Director at American Express and leads Marketing and Capabilities analytics teams supporting Merchant business globally. Prior to Amex, Sanjay set up DELL’s Captive Marketing and Sales analytics team and scaled it to one of the largest amongst captive setups in country. He has also held multiple positions of increasing responsibility with Jet Airways and Engineers India Limited. He is passionate about leveraging analytics to solve business problems and deliver tangible value. He believes in democratization and adoption of analytics and has led organization wide initiatives to this effect. He is a regular speaker at NASSCOM and other industry forums. Sanjay is a founding class alumnus of the Indian School of Business (ISB), Hyderabad and holds B- Tech in Mechanical engineering from IIT- Roorkee.